Need transfer paper? 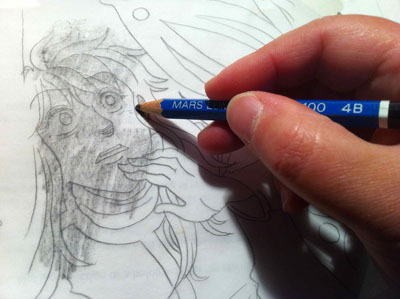 Rub a pencil on one side of a sheet of tracing paper. 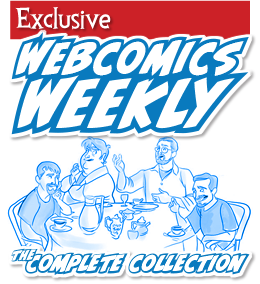 Wanna see your comic in the Creations / Most Recent category of Patreon’s Comics section? Post a public update in your own Patreon page’s Creations feed. 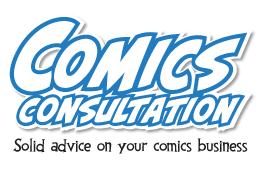 Posting your current strip or page works nicely. 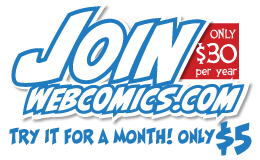 Want to get noticed on the default view of Patreon Comics — Creations/Recently Active? Respond to and continue conversations in the Comments section of your Creations feed. For more info on using that code, click here. Want to record a video that’s more personable? Skype a friend and record it while you’re talking to him or her. You’ll be much more natural and relaxed. And it shows. • Whenever possible, buy supplies from a local vendor and offer to pick them up. You might get a better deal from the vendor — especially if you pay in cash — and you’ll save on shipping. This works great on things like convention banners. • Before you buy, do this: Open up another browser window and Google the terms “coupon code” along with the Web vendor you’re using. often, you’ll find an entire repository of coupon codes that you can use at that site. • Don’t use your domain-based e-mail address to register with Web sites. It’s a huge security risk. • Don’t pay your Web host a fee to handle your domain-specific e-mail address. Use Gmail. • Navigation buttons go directly under the comic, as close as possible. Don’t believe me? Read the comments in this thread. • For ads, top-of-site is great. But middle of the first screen — on the left hand side — is as good (if not better). Read your comic upside-down. I promise you’ll catch more spelling errors. same goes with reading your work in a mirror. Clear your Web browser’s cookies before searching for airfare. Some online airfare sellers use those cookies to manipulate their site into giving you a higher price once they see you’re interested in travel. More innocently, cookies could cause your browser to return the same results from an earlier search for the same destination, meaning that you may be missing out on newer, more cheaper fares. Need to quickly re-size a rectangle — proportionately? Draw a diagonal line between two opposing corners. As long as the new rectangle’s corners fall on this line, it’s the same proportion as the original. Do you sketch in light grey — not a color. That way, if you accidentally do your inking on the same layer, it’s an easy fix, using Photoshop’s Threshold function.